I came across this video on the Numerology for Smart People blog and found myself shedding a tear or two in astonishment. Inspiring, touching and so so TRUE. Should I learn Italian or Spanish? I ask myself. I love Italian and have already started learning it, but Spanish is much more widely spoken and (therefore?) more useful. I take an Angel Card. Ear Chakras: Notice messages that appear as sounds, music, and words, from both external sources and within your mind. These messages are real answers to your prayers. A few weeks later: I step onto a bus and have the impression of stepping into Italy – the bus is jam-packed with young Italian students, who are all chatting and joking in Italian. I remember the Angel card. I book an Italian lesson. As I am arranging the lesson with my teacher over the phone, a smile spreads across my face and energy pumps at a crazy pace around my body. I feel like running to the nearest bookshop to buy Italian books and start practicing right here, right now. I am so excited about taking Italian lessons again and am filled with joy as I think about continuing learning this beautiful language. How would I have felt had I booked a Spanish lesson instead? I would have felt frustrated and bored, because I would only have picked Spanish because “it is useful”, “it could help my career”, “it is a more logical option”. My heart would not have been in it. I nourish myself by saying no when I mean no, and yes when I mean yes. I know what I want. In the past few months I have been extremely blessed to have received a whole 3 different blog awards! 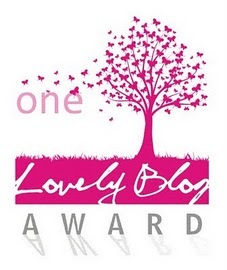 Thank you to Jennifer for the Inspiring Blog Award! I am extremely grateful for these truly special awards and I feel blessed to be able to share my blog with you.